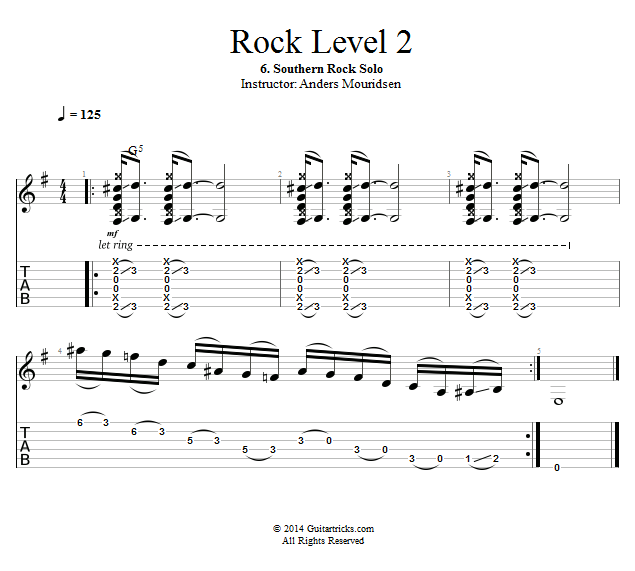 Now let's break down and play through a solo for this song. This is actually a place where you can get away with adding some southern rock or country flavor without it sticking out too much. We'll modulate to the key of G for the solo and use a combination of an open G chord voicing, and a fast and "flashy" country lick.